The Ladd Family Web Page contains information on the descendants of Daniel Ladd (1613-1693) of Haverhill, MA and his brother Joseph Ladd (1620-1683) of Portsmouth, RI. It also contains the ancestral line of Merle G Ladd with additional information on the Crowell, Hatch, Philbrick, Fancher, Eby, Compo (Campeau) and Sauvé families. Due to the size of the Ladd Family data file, I can no longer post individual information on this web page. If you have specific questions about an individual or family unit, email me at: laddm@nettally.com and I will send you a detailed report containing the information that I have on that individuals family line. This current information can be found on Ancestry.com, in the Public Member Trees: "Ladd Family 4-6-2012"
To view the individuals information, send an email to laddm@nettally.com requesting access and I will invite you as a "Guest" to view my file at no cost. Upon completion of the request, you will receive an email from Ancestry with instructions on how to access the Tree. The link will take you to a page where you can create an account for free. You are required to have this so that a link to my tree can be placed into your account. Creating a user name on Ancestry is free and will not mean you are paying for a subscription. Once you have accepted the invitation, the tree will appear in your list of Trees in the Family Tree section of your account and under the "Trees Shared with Me" tab when you click on Family Trees. This link will be available about 30 days. Click on the Book to read the story. 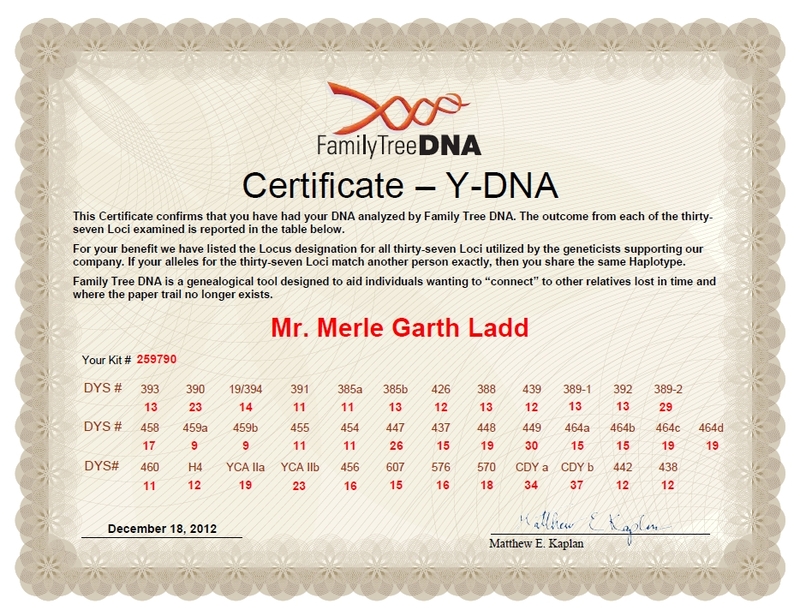 THE "LADD FAMILY" WEB PAGE WAS CREATED AND MAINTAINED BY: MERLE G LADD.